Houston Juvenile Lawyer James Sullivan is Board Certified in Juvenile Law. He is a recognized expert in Juvenile Law and has been defending juveniles and adults since 1994. 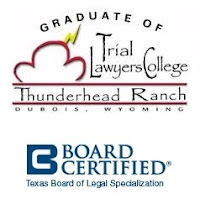 Among the more than 83,000 active lawyers in Texas, there are only 38 lawyers Board Certified in Juvenile Law in private practice. experienced in the process. Ideally, it is better to request de-registration prior to the juvenile’s 18th birthday when he would otherwise have to begin registering as an adult until age 28. However, the juvenile can still request de-registration even after having reached age 18 or older.